The sun is going down, better drink my own piss. Netflix’s next step in interactive storytelling brings the format closer to bridging the gap between film and video games, as it will allow viewers to decide how the adventurous character gets through each level before moving on to the next chapter. Now, the company’s latest news has us wondering: Will the next chapter involve drinking your own piss? The media company announced on Monday their next interactive show (not a choose-your-own-adventure) will debut on April 11—“You vs. Wild,” starring Bear Grylls. 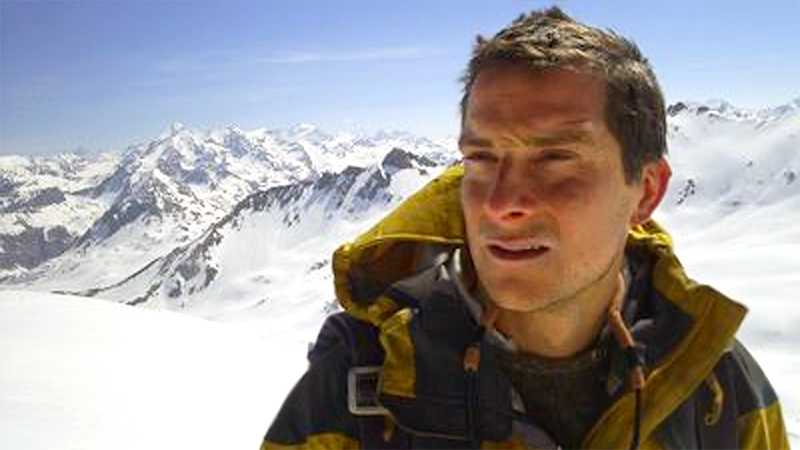 And much like “Man vs. Wild”—the show that transformed Grylls from a survival instructor into a personality willing to put himself through disgusting and painful experiences to entertain fans who would maybe try glamping—the new show will put Grylls through various “life-threatening” situations as he relies on his survival know-how to make it through each expedition alive. The “You” in “You vs. Wild” is really Grylls, of course. But you as the watcher and remote-wielder control what Grylls does. Netflix is keeping tight-lipped on most of the decisions viewers will get to make for Grylls. But we asked Netflix about the most important potential decision: Will Grylls recreate one of his most infamous moments, and allow the audience to choose whether or not he drinks his own urine. A Netflix spokesperson responded with a smiley emoji and said the company doesn’t have anything else to share about the show other than what was announced on Monday. The new eight-episode interactive series will show Grylls in various excursions around the world. The trailer (which is itself an uninspired interactive story) only teases one scenario. “You’ve got two options of what to do here,” Grylls tells the viewer. “Either step really tentatively, or crawl like a seal.” Then scenes flash showing Grylls wingsuit flying, starting a fire, hiding in a tree above a barking wolf, and swinging across a ravine. The Netflix spokesperson also shared a public statement from Grylls. “I’m so proud to deliver this first-of-its-kind live-action interactive series, really giving viewers an all-access pass to explore the world and its landscapes in my boots,” Grylls said. The presumed goal of this choose-your-own-adventure-style shows is to help Grylls make it out of the adventure without dying. The trailer of the show flashes the words: CAN YOU SURVIVE? Viewers probably won’t get to watch Grylls die if they make a misstep, but they will likely get to put him in dangerous, gross, and funny situations. This could be an entertaining use of this model of storytelling. Sure it’s novel to guide a dark sci-fi or fantasy story. But as someone who enjoys playing video games just so I can put the avatar in strange scenarios, or simply drive them off a cliff—I’m excited by the possibility of guiding Grylls into imminent danger or discomfort, while also learning about the best ways to survive wilderness situations I will almost certainly never encounter.